February 25th was the date the Big Ten Club and Northwestern Alumni Association visited the Staples Center for some good old fashioned hockey fun with plenty of puck slinging, board crashing, and fist throwing. The Blackhawks put up a valiant effort but, in the end, not scoring a goal when your opponent scores four equals an unhappy flight home. LA’s Dustin Brown was the star of the game when he capped off his hat trick with a short-handed goal causing the rink to be inundated with hats. Let it be known that former club president Derek Hildebrandt, an “avid” LA fan, did not throw his hat on the ice following the goal even though it is obvious in the photo that we were close enough to do so. The night finished with a private Q&A session with LA’s Kyle Clifford who also signed some memorabilia for the group. It was great outing for both clubs and it could not have happened without the expert planning from our Vice President, Marc Goldsmith. We have fun. We do good. We'd love you to volunteer with us Saturday morning, April 21st, for our Club's annual community service project at the Los Angeles Regional Foodbank. Please RSVP by 4/18. Our goal is to have 50 Big Ten friends to volunteer. The Foodbank is a non-profit organization that solicits, stores, and distributes donated food and grocery projects to charitable agencies throughout the Greater Los Angeles area. Questions? Jim Jacobs, Big Ten Club Vice President (NU) at wildcats76@verizon.net or call him at 626.334.5676 (home). Richter was one of Wisconsin's most-storied student-athletes. He was a nine-time letterman (the last person to earn such a distinction in school history), lettering three times each in football, basketball and baseball. He was also an All-American tight end twice. Richter set a Rose Bowl record with 11 catches for 163 yards in the 1963 game vs. No. 1-rated USC Trojans. Check local media for game times, channels, etc. We all have great memories of going far in the Big Ten and NCAA tournament. It has been a couple years since the Hoosiers have been ranked. This year is very different. We have been ranked most of the year and will be a strong team during both tournaments. Come join local Hoosier Alumni as we cheer on IU during the both the Big Ten and NCAA tournament at IUAA LA’s official Game Watch bar - The Parlor on Melrose. We had so much fun on our last two Secret Stairwalks that we're going to do it again! Join us this time as we enjoy a fine urban walk through the very heart of the city. Our hike will employ old staircases, new staircases and even circular staircases. This is Walk #11 featured in The Secret Stairs: A Walking Guide to the Historic Staircases of Los Angeles by Charles Fleming. This stair walk will last approximately 1.5 hours and covers 1,021 steps in 3 miles. RSVP to Sheryl@umclubla.com and you will receive a confirmation with the location of the meeting place. Join us as we gather in a very special space at Catchlight Studios to learn to cook! The Old Town Cooking School will provide us with a hands-on experience to help us master the art of home cooking. Last year, we held our first cooking event at their location in Pasadena and had such a great time that we've decided to do it again. This time, the location is conveniently located at Catchlight Studios on LaBrea. We will prepare and eat a five-course Italian meal (plus appetizers and wine) at this private party held especially for Michigan alums. It's time to have some fun with your fellow LA Alumni. If you have never been a part of a WAKA Kickball team, we highly recommend it. This particular league is a wacky league and a not-so competitive league for all of you that are worried about "being good" or not. IT'S KICKBALL. AND YOU DON'T HAVE TO BE THERE FOR EVERY GAME. Click on the big blue "NEED TO REGISTER? Click here" button and once registered, use the TEAM drop down box and select PSU ALMUNI TEAM. The best part.. is WACKY RULES!?!? say WHAT????? Each week- BEFORE Wacky Rule Week- The League will vote on that week's rule. WACKY RULES WILL NOT BE ANNOUNCED UNTIL YOU ARRIVE AT THE FIELD THAT WEEK! Tuesday, March 20th: OC Badgers Board Meeting 6:30 PM at iHop (18542 MacArthur Boulevard, Irvine; across from John Wayne Airport); all are welcome to attend. Book Club, Young Family Alumni, Golf Committee, Scholarship Committee, Membership, Social Co-Chair, Treasurer and President Positions are open. If interested, please attend meeting! 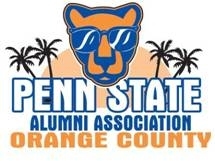 Saturday, April 14th: OC Badgers Hike 10 AM at O'Neil Park in Laguna Canyon; RSVP to Emily Sauter by April 13th!